PURCHASE, N.Y. -- PepsiCo Inc. said today that its profits plunged 85 percent in the fourth quarter as its international beverage business suffered dramatic losses. The giant food and beverage company said its net income for the three months ended Dec. 31 fell to $28 million, or 3 cents a share, from $181 million, or 11 cents a share, in 1995. The company said that in addition to the losses suffered globally by its beverage business, its Pizza Hut and Taco Bell restaurant chains also posted lower profits in what it called a sluggish industry. PepsiCo, based in Purchase, N.Y., near New York City, said its profits for all of 1995 declined 28 percent to $1.15 billion, or 72 cents a share, from $1.61 billion, or $1 a share. The company reported slightly improved sales for the quarter and full year, mostly on the strength of sales of soft drinks and Frito-Lay snacks in North America. PepsiCo said net sales for the quarter grew 4 percent to $9.53 billion from $9.21 billion while sales for the year expanded 5 percent to $31.65 billion from $30.26 billion. "Our goal is to produce consistent earnings growth of about 15 percent a year. Despite remarkably strong performances by many of our businesses, we fell well short of that in 1996," Chairman Roger Enrico said in a statement. "On one hand, North American beverages, global snacks, international restaurants and KFC all made terrific progress and lots of money," Enrico said. "On the negative side, profits at Pizza Hut and Taco Bell were down in a sluggish industry. "Far more significant, however, our international beverage business suffered dramatic losses, in part from an accumulation of unproductive investments in markets and in beverage-related activities outside our core business." Enrico outlined a number of initiatives that PepsiCo had taken in recent months to improve earnings, including a reorganization of its international beverage business to focus on its most promising markets. PepsiCo announced in September that it would take more than $500 million in charges related to the restructuring. After taking $390 million of that amount in the third quarter, it took an additional $186 million in the fourth quarter. Enrico also noted that PepsiCo previously announced plans to spin off its core restaurant business. "Given the fundamental differences between packaged goods and restaurants, we believe both will better thrive as totally separate companies," he said. "Together these actions will dramatically sharpen our focus as a corporation, position us for strong consistent growth and, ultimately, help us to create a bigger, more profitable future for PepsiCo and its shareholders." 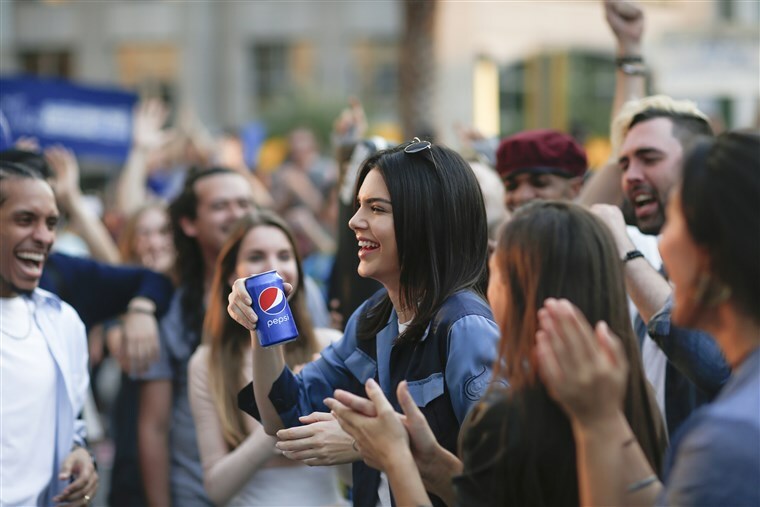 The company said its Pepsi-Cola North America unit had an excellent year, with sales growing 4 percent and profits advancing a strong 14 percent. Internationally, however, beverage sales volume declined by 9 percent in the quarter and 2 percent for the year. PepsiCo said three-quarters of the decline in the quarter came from Latin America, largely due to the company's loss of its bottler in Venezuela. "As expected, volume softness was a major factor in the decline in profits in the fourth quarter, coupled with decisions to reposition the division for future growth and the cost of meeting previous commitments for marketing spending," the company said. PepsiCo said U.S. restaurant sales declined 2 percent in the quarter and 1 percent for the full year, due primarily to lower sales at its Pizza Hut and Taco Bell chains. Excluding the impact of franchising changes and store closures, PepsiCo said, U.S. profits fell 36 percent for the quarter and 12 percent for the year. The company said these declines were due to higher labor costs as well as lower sales and higher costs at Pizza Hut and Taco Bell. PepsiCo also reported that it repurchased 54.2 million shares of its stock at a total cost of $1.7 billion. The company's stock lost 75 cents to $33.375 in early trading on the New York Stock Exchange, where it was one of the most actively traded issues.